I have seen some small shops and even big department store chains along the Königstrasse closing down because of low profit and clientele but I never thought I would see the day when one of my favorite book stores, which is really a haven for book lovers out there, would also close its doors. Whether you fancy reading a book and decide to buy one, grab a cup of coffee in their cafe, look for some gift ideas or just relax and window shop, this is one of the places to be. through a small gap between the glass doors. She was of course sad when she heard the news. HUGENDUBEL. If you have never been to this book haven before, then it is too late. 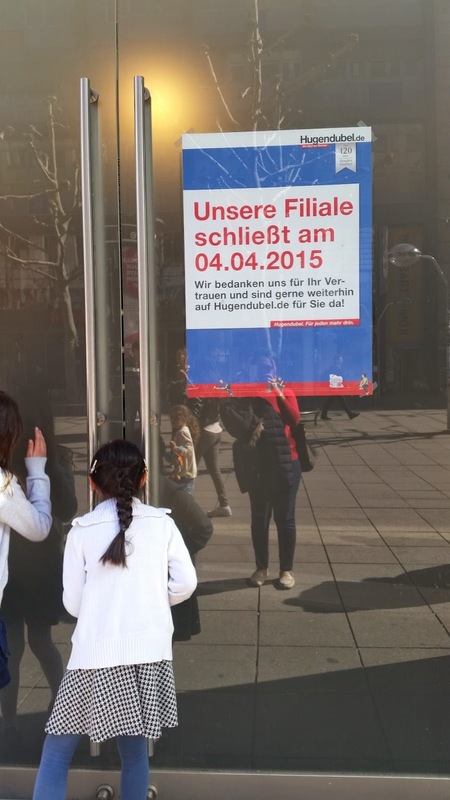 Their branch along Königstrasse (beside Müller) closed last April 4th 2015. 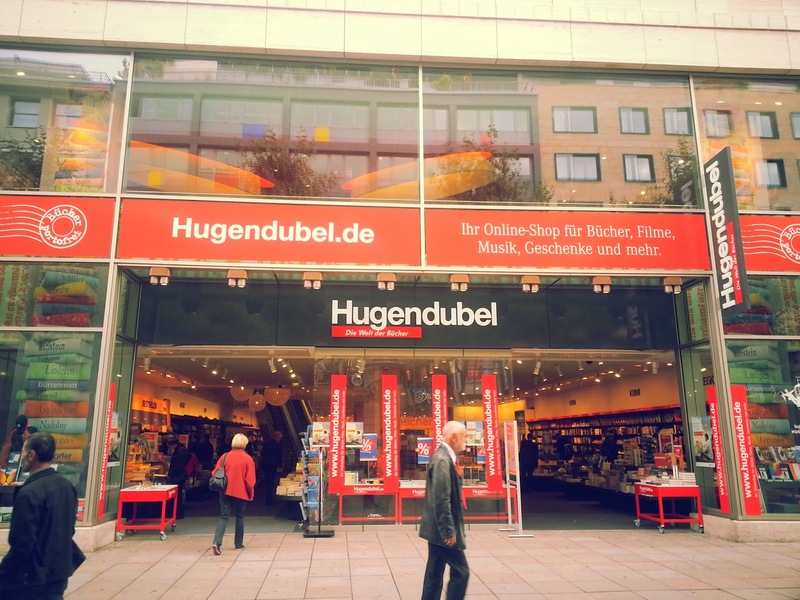 There are still other branches all over Germany though and you can still purchase books from their online shop at Hugendubel.de. Interior of the bookstore on the 2nd floor. These comfy lounges are so relaxing. 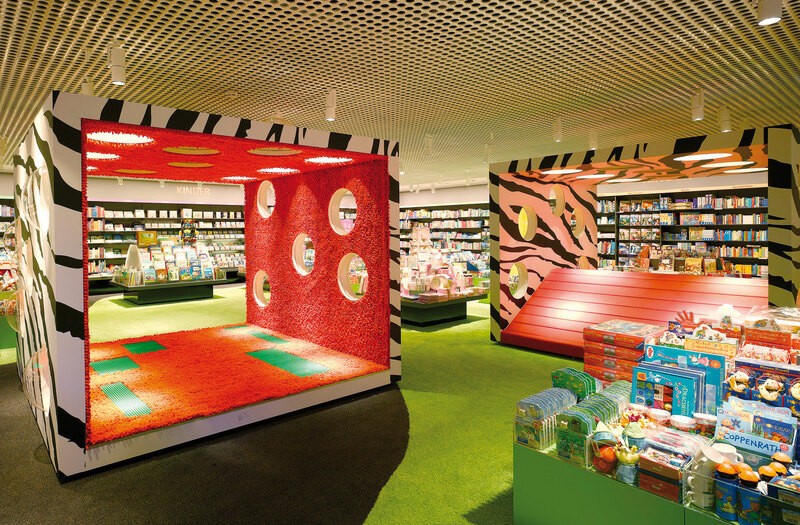 children can play while their mommies browse through children's books. The bookstore front along Königstrasse taken a year and a half ago (October 2013).